I was on a train traveling towards Tokyo when a massive earthquake hit Japan on March 11. The train came to a quick stop and began shaking. Buildings around the train swayed back and forth for several minutes. Large aftershocks followed for the next hour or so. 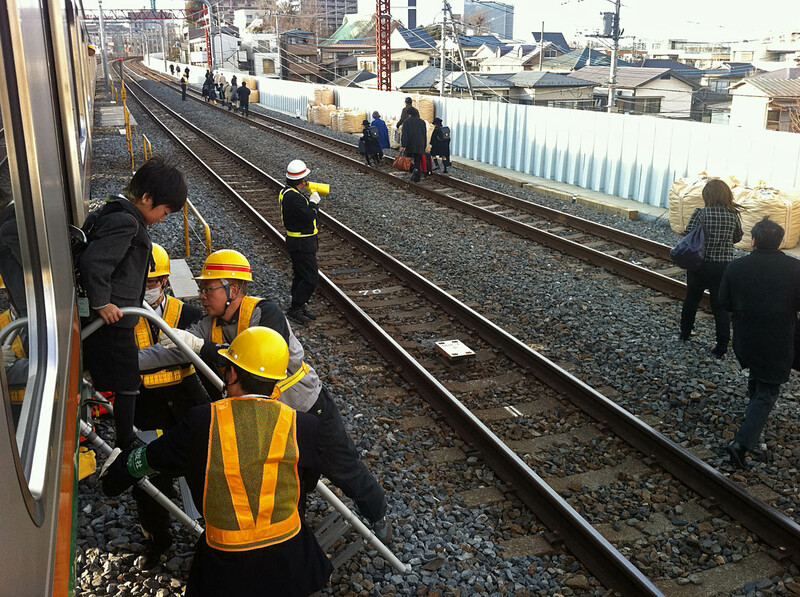 Finally, Japan Railway workers set up ladders, and passengers were evacuated. JR employees help passengers evacuate a train near Urawa in Saitama, Japan. Seen on the New York Times. 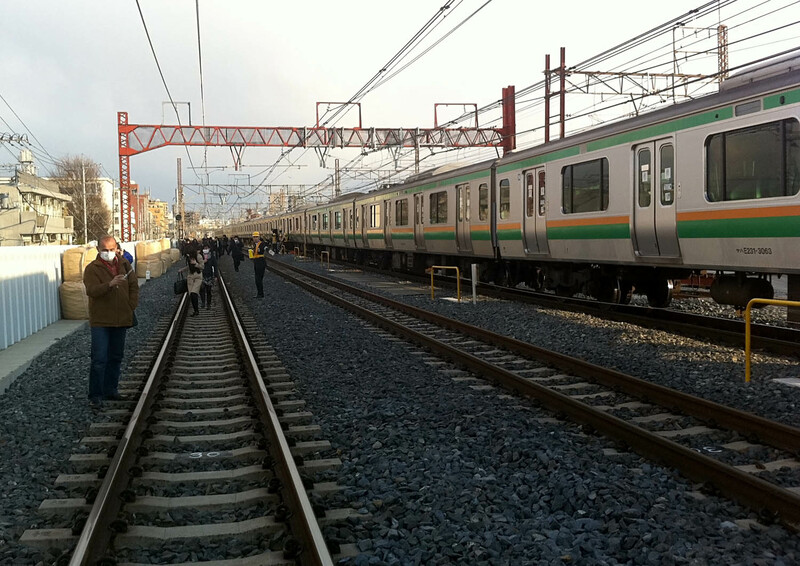 Passengers walk along train tracks toward the nearest station following the earthquake. 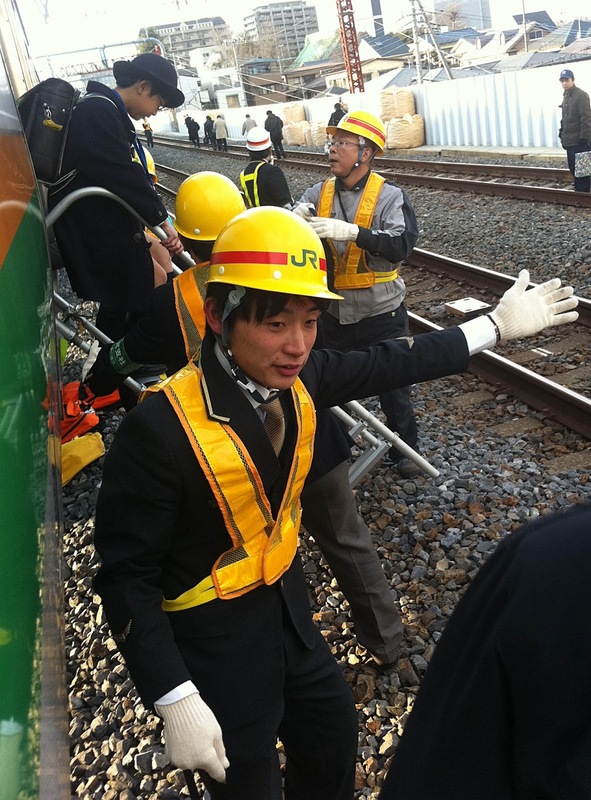 A JR employee helps direct passengers following the evacuation of a train after the March 11 earthquake.